Your all-terrain vehicle is a fun way to get out and test your riding abilities. It can also be a functional vehicle when used for work purposes. Regardless of how you utilize this versatile vehicle, you need the right tires to experience the full power of your ATV. 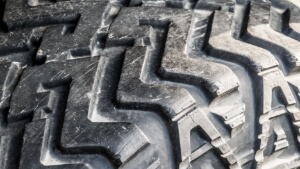 Here are a few things to keep in mind on how to choose ATV tires. The biggest thing in how to choose ATV tires is knowing when you should replace them in the first place. There are a few things to look for which suggest it’s time for new tires. For starters, if the tires have any visible signs of wear and tear, such as worn down or damaged tread, you should replace them right away. If you notice the ATV has a harder time getting traction than usual, it is probably the tires. If you have a loss of control on turns and everything else checks out, it is also a sign the tires need to be replaced. The biggest choice when shopping for ATV tires is the matter of bias-ply or radial tires. The names simply denote the way the tires are constructed, but there are differences worth noting. A bias-ply tire is constructed in layers called plies. This was once the only option on the market for ATV tires and the higher plies was due to a lack of durable material to withstand the rough and rugged terrains an ATV traverses. Bias-ply tires are built with each ply laid down at a diagonal bias from bead to bead with next ply or layer laid on top of that but in the opposite direction for a crisscross pattern. Radial tires still use a layering system, but the plies are laid down perpendicular to the center of the tread or direction of travel. The plies are run from bead to bead much like bias-ply, but the plies create a wrapping effect by also running down the face and sidewall of the tire. Radial tires are a bit more durable over bias-ply and the tread lasts longer, but bias-ply has radial beat in the area of the sidewall of the tire. While both are great choices, you should also consider if you intend to do a lot of jumps or rocky terrain. Radial is better for jumps and tougher terrains over bias-ply. While you may think all tires are naturally round in design, there are tires with a flatter design commonly used in ATVs. A rounded tire is more commonly used with softer terrains to help the tread to spin out terrain faster to help with speed, traction, and control. A flatter tire shape is ideal for especially hard and rocky terrains thanks to the somewhat slimmer profile of the tire. One of the most important things in how to choose ATV tires is know your intended terrain. All ATV tires are not created the same in terms of their performance for specific terrains. There are several different tire styles with corresponding treads to handle the terrain so make sure you take this into consideration when shopping for tires. Trail. These are standard tires meant for basic trail riding. They are available in a range of tread patterns and groove depths. Mud. When riding through mud, you need a wider tread to help churn the mud back out and help the vehicle propel. Mud tires come in a few sizes to help you get an option that is as aggressive as you need for the terrain or riding needs. Snow. While most ATV tires can handle snow without losing much traction, snow tires are specifically tailored to this terrain for added traction and control. There are even types for different types of snow from hard packed ice to more powdery snowy terrains. Race. Race tires offer the best in traction because speed is of the essence in a race. They are also better suited to doing jumps or obstacles than a standard ATV tire. Sand Dune. One of the few tires you shouldn’t use on other terrains than the one specified, sand dune tires are paddle style tires to help with traction in one of the hardest areas to drive over. They have a unique tread pattern with the front tires having a well-spaced out tread pattern and the back tires using what is called ridge tread down the center to work in unison for traction and control. Turf and Pavement. These are tires made especially for riding over paved areas and lawns. This is ideal if the ATV is being used for work purposes. The tread is closely placed to avoid tearing up the ground while still offering great traction over paved areas.